Learn and discover your options. Live and Work in Canada, the legal way. 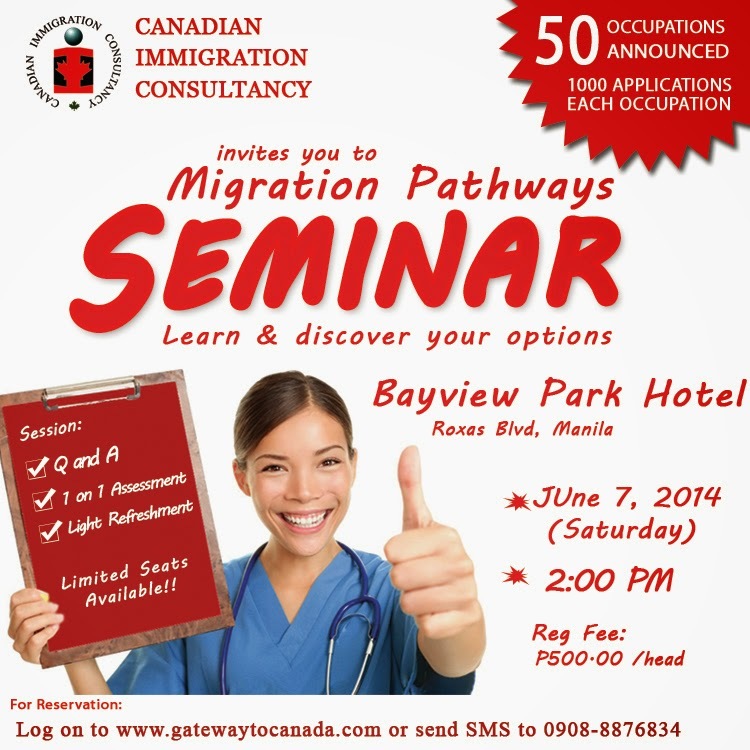 Mark your calendar: June 7, 2014, Saturday at Bayview Park Hotel in Manila. Reserve your seat now!